Is it a bird? Is it a plane? 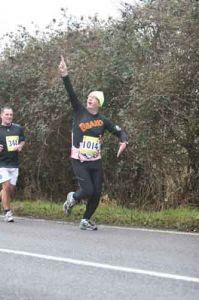 No, it’s Beanoman, on his last half-marathon of the year in Bedford. 2 hours 6 minutes. The course was quite hilly, but the weather was perfect. A really fun morning.